Nancy Bennett needed help. Her husband had been killed when it was discovered that he had been rustling cattle. Now, with a baby on the way, she had a ranch to run, and her husband had never taught her anything. Luckily, foreman Hank Snowden was willing to share his knowledge with her. Then, when a bank threatens to take the ranch from her, Hank proposes even more. 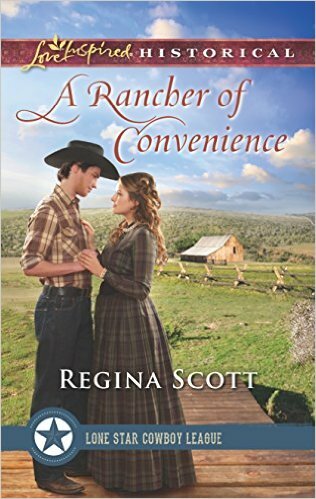 A Rancher of Convenience was a sweet romance between two lonely people who are perfect for one another. Nancy had tried to be a good wife for Lucas, but he had not been a man capable of appreciating her efforts. Instead, he had conducted himself in a manner that had gotten him killed and risked Nancy and their child's future. Hank is a hero who is always willing to do what needs to be done, and help anyone he can. I enjoyed their romance and the vast cast of secondary characters who must be part of this series... although I did feel that A Rancher of Convenience does stand on its own.